The consequences of a DUI conviction are often life-changing. This is even more concerning for those without citizenship. A citizen found guilty of a DUI may face jail time, loss of driver’s license and expensive fines. For non-citizens, there are additional consequences: possible deportation and the loss of opportunity for naturalization. Because individuals seeking naturalization must take part in a naturalization interview, any criminal conviction can be a hindrance to acceptance. 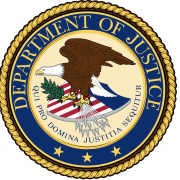 Good moral character must be demonstrated among these applicants, and those who are on probation must wait until it has passed to become eligible again. In addition, because there is some discretion exercised in the U.S. Citizenship and Immigration Services (USCIS), the individual may be asked to show that significant time has passed since conviction, in order to demonstrate good character. In addition, they may be asked to display proof of a steady work history or other demonstration of an elapsed time with good character. This could further delay the petitioner’s naturalization, exposing him or her to additional risks of deportation should their current immigration status expire. The Immigration and Nationality Act also allows for removal if the convicted party displays evidence of alcoholism. This is often the case among individuals who are convicted of multiple DUIs, or in cases regarding bodily injury. It is worth noting that whether or not the individual can then obtain naturalization is at the discretion of USCIS. Even in cases where the individual has become a legal permanent resident, these factors may still present enough cause for removal. Furthermore, non-citizens may be deported for crimes of moral turpitude. 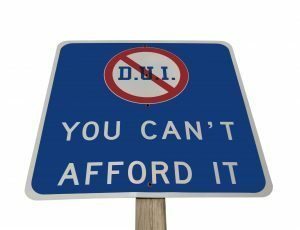 While most DUI’s do not fall under this category, those who knowingly drive with a suspended license may be opening themselves up to additional risks, including removal, based on crimes of moral turpitude. In addition, removal is a risk for those with any controlled substance conviction, meaning if anything other than alcohol contributed to the arrest, and the conviction is listed as a controlled substance offense, the individual is at risk. It is also worth noting that controlled substance lists differ from state to federal lists. Immigration clients should therefore be especially cautious about entertaining a plea bargain regarding controlled substances. In fact, the details are often the most important factors regarding whether or not a DUI can impact an application for naturalization, or his or her deportation status. For example, the wording on the DUI statute may be more suggestive of bad character in some cases than others. While most DUI offenses do not contain verbiage implying willful conduct, in some cases, terms such as “reckless,” or “malicious,” imply that willful conduct was present. Other details, such as whether or not anyone was harmed or whether or not a child was present, are equally as important in this regard. Those who have concerns about how their immigration status may be affected by a DUI or DWI should consult with an immigration attorney immediately. The attorney can perform an analysis based on the individual’s prior history, character and details surrounding the arrest, and provide valuable assistance.